5kW powerful BLDC motor provides 16Nm torque, works on 48V/72V/96V DC available voltage, and can be widely used in automatic machinery, medical institutions, electronic equipment etc. Long lifespan and subjected to moist or humid environments. 5kW BLDC motor with 16Nm torque is absolutely powerful, which can be used for industrial machinery, boat, car, traction motor, pump, bus A/C systems, etc. 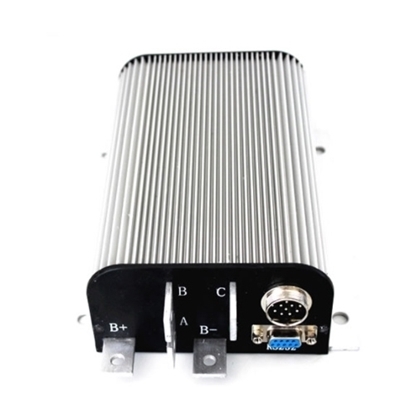 It features the advantages of brushless DC motors: low electromagnetic influence, low noise, high efficiency, long lifetime, no spark during running and smooth operation. Technique development, like advance in new high-performance permanent magnet materials technology, semiconductor devices and ICs, which have urged the revolution of brushless DC motors. As the energy-saving and speed-regulating control requirements becoming more and more important, high-efficiency BLDC motor has become a priority choice for customer.